Full members are 1) registered nurses who have successfully completed a nurse practitioner program and/or maintain certification as nurse practitioners with a nationally approved certifying body or 2) registered nurses currently licensed to practice as a nurse practitioner. Full members have voting rights to vote and hold office. These full members are current student members in good standing with NMNPC who are renewing for the first time after graduating from their NP program. These members receive our Congratulations on Graduating! 40% discount off the regular full membership dues. Please note: you must be a current student member to take advantage of this discount. 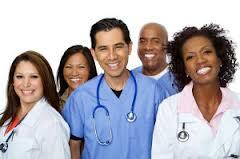 Retired members are nurse practitioners who are retired from practice. Retired nurse practitioners engaging in volunteer work after full retirement may also choose this membership category. Retired members have voting rights and may hold elected office. Student members are registered nurses who are students enrolled in an entry-level program that prepares nurse practitioners. Student members do not have voting rights and may not hold elected office. Associate members are individuals interested in fostering the purposes of the Council. Associate members do not have voting rights and may not hold elected office. Supporting members are corporations, agencies, organizations, institutions, or other groups interested in supporting the purposes of NMNPC by contributing financial support. Supporting members do not have voting rights and may not hold elected office. Non-Member Accounts are for individuals who wish to purchase a product or register for an event without becoming a member. Individuals with non-member accounts do not receive member pricing on any products or events and do not enjoy full access to all the features of our website but may upgrade to full membership at any time. 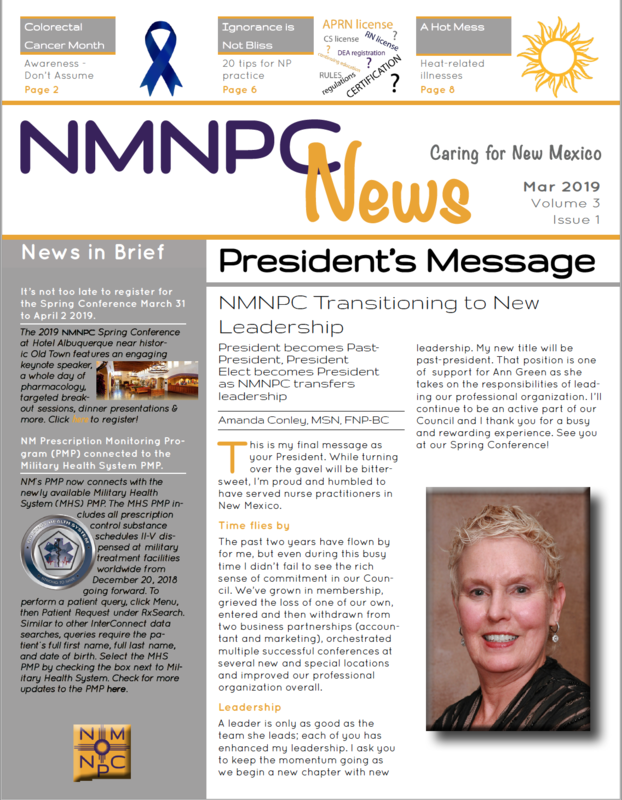 NMNPC encourages all nurse practitioners who create a non-member account to contribute financial support by donating to our lobbyist fund - our lobbyist's efforts benefit all nurse practitioners in New Mexico.